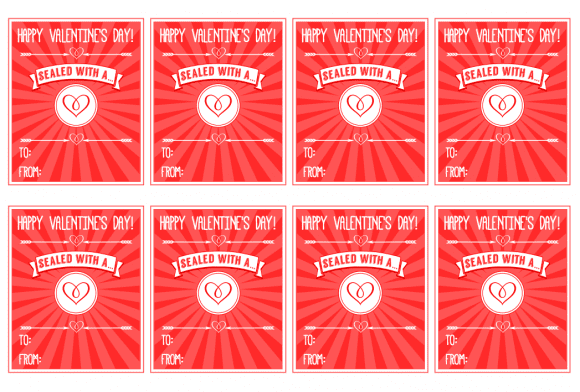 Need to print out some last minute classroom Valentines for your kids? Just attach a Hershey's Kiss to our "Sealed with a Kiss" printable Valentine, or attach a crayon (or melted heart crayon) to our "You Color my World!" Valentine, and you're ready to go! 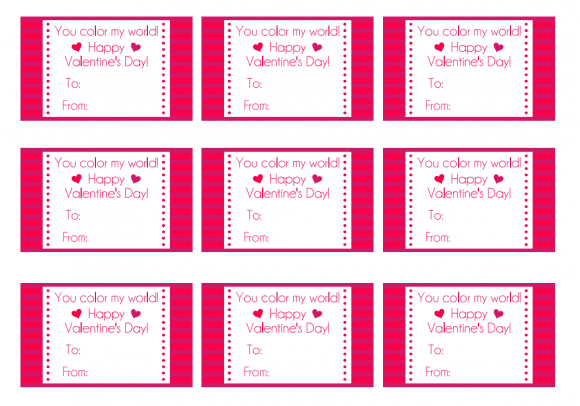 And if you need free Valentine's Day party printables, we've got a ton! Thanks for these great Valentine printables! I love your creative ideas.